Thomas Buergenthal saw the Nazi concentration camps through a child’s eyes. Luckily, he survived and later became a lawyer and eventually a judge on the Inter-American Court of Human Rights, the International Court of Justice in The Hague in the Netherlands and the United Nations Truth Commission for El Salvador. He waited decades to write his story down, now informed by his precise knowledge of human rights law. 2009, he wrote a book called “A Lucky Child” – a memoir of surviving Auschwitz as a young boy, and at 84 years old he is now writing a second memoir about his six decades of human rights work around the world. He also works with the Committee on Conscience at the United States Holocaust Memorial Museum. For The Big Pond, Katie Davis visited him at his office in Washington D.C., where they talk, among other things, about his parents (whom he was separated from during the war), what Auschwitz was like, how he realized he had to save my own life and what happened after the concentration camps were liberated by the Russian Army. Katie Davis: I’m Katie Davis. We know the history of World War II, and still when someone tells his or her own story we always learn. Thomas Buergenthal saw the Nazi concentration camps, Auschwitz and Sachsenhausen, through a child’s eyes. He was separated from his parents in the camps and managed to survive by his wits, and luck – and that is what he called his first book “A Lucky Child.” And Thomas Buergenthal turned his luck into a force for change. Katie Davis: Begin with a bicycle, and a pony. Katie Davis: The boy learns to ride them both – in the dust of the camp. Out of sight of the SS guard. Later, the Polish army gives him the circus pony and a uniform. It is 1945 and he rides to Berlin with the Polish Army to fight the last German soldiers. Katie Davis: He was Tommy then. Six years old at first, then ten and eleven, born to German Jewish/Polish parents. And the family was forced into a ghetto, in Kielce, Poland. Katie Davis: The family was forced into a ghetto in Kielce Poland, and he can remember his father, shaving at the kitchen sink while orders were shouted from the street. Thomas Buergenthal: I observed my father, whose great strength was that you could see that he always thought things out before he did it. He would not be sort of cowed into running, but he would make his decision and stick by it. That was something that I noticed a lot of people got killed or were caught because they acted too fast. They didn’t sort of take account of the environment and then act. That is something he did; he was a master at that. Katie Davis: This is in Kielce? Thomas Buergenthal: This is in Kielce, in Poland. I was still very much sort of…I would do what my parents wanted me to do. I would be the child that did what had to be done. In 43 I sort of began to be aware that I had to – even though I was still with my parents –that I had to do certain things on my own in order to survive. Such as, well for example when we were in 1943 we were in a work camp, and when that camp was dissolved the initial thing was that I had to hide in order not to be seen by the Gestapo because they were taking all of the children away. And then what happened I actually survived this. They saw me of course we were all lined up on one of these fields in Kielce. They started to pulling me and my father pulled me back and then my father took me to the chief of the Gestapo who was standing in front of everybody and said to him “this is my son” and this man looked at me and I said to him in German “I can work” and you know it just came out of me. How do you say it in German? (Gives Answer by himself) “Ich kann arbeiten” and his response in German was “Na das wollen wir mal sehen” – let´s see. He let me live. I was the only one of the children from that from Kielce who survived that way. There were two others who hid in the house where they took all of the children. That was sort of the beginning of my awakening to the fact that I was going to have to save my own life. Katie Davis: And in that case instead of running away or trying not to be noticed you went right into the belly of the beast you went right face to face with the danger. Thomas Buergenthal: But that in part was really my father’s doing who had sort of analyzed the Germans (little laughter), and knew that you had to often confront them in certain ways and that they had great sort of difficulty with their own propaganda and with the reality. Here was a kid who spoke German the way their own children spoke German. Who didn’t look as Jewish as they perceived the Jews to look from the Stürmer [a weekly German tabloid-format (anti-Semitic) newspaper (1923-1945)] which was the German sort of propaganda-newspaper. And suddenly to have this kid talk to them, it personalized it. And after that in Auschwitz again the first time when I worked for the Kapo [a privileged prisoner who served as a barracks supervisor or led work details in a concentration camp]. The Kapo was somebody my father had known before, because it was a man who had been in the ghetto with us in Kielce and was shipped out of the ghetto to Auschwitz two years before we did. So by the time we came to Auschwitz he was a Kapo, quite a brutal one, but he treated his friends well. He sort of took me in. This is a terrible sort of society (little laughter) to live but that helped. I also, in Kielce still, worked as an errandboy for the men who ran that work camp and I must say I don’t know how that came about. But what I remember is I used to sit outside his office, and he would listen to the radio and I would listen and would sort of report to my parents on the news because we had no news of course. So I became the one who tried to memorize all the news that I heard on the German radio and reported to my father and mother and I suppose through them to the other people in the camp. I even reported on the fact that Mussolini had been captured. Katie Davis: At that point, a young boy, you might have felt angry or even intense hatred for the Germans. What was it like to work for one, one on one as an errand boy and how did you cope with that? Thomas Buergenthal: You know I didn’t have to cope at all that was the curious thing. He was very nice to me, he never mistreated me. But he was quite brutal; he would beat people if he saw them not working. So I figured out he would do that and so when he made his inspection tours I would usually sort of run ahead and make certain motions so he had a hat with a feather and I would motion to people that the feather was coming (little laughter). So everybody started to work. Because I had seen him beat a lot of people if he caught them not working. But he wasn’t, he never abused me, he never mistreated me. It is strange you know as a child I remember he used to have a visit from some officer of the SS, who would arrive with a bicycle and he would hand me the bicycle to take the bicycle and put it in the bicycle stand. And believe it or not, in all this environment in which we lived I learned to ride the bike with this (starts little laughter) SS men’s bicycle. You know a child is a child. Katie Davis: What did Auschwitz sound like? Like when you were there what did it sound like? Thomas Buergenthal: Well Auschwitz I should tell you, I went back with my wife years later and tried to tell her how different it was. When she and I went to Auschwitz, there was grass on the ground, birds were flying, the air was fresh. Auschwitz was just the opposite. There was the continuous stench of burned bodies. No grass was growing, no birds were flying. That was Auschwitz. And barracks row after row and barracks. And people walking around who were dead people walking just skin and bones. And the SS guards, you know, lording it over beating people who didn’t do what they were supposed to do or if they were just in the way. That was (inaudible). And of course you knew that, every few weeks there would be a selection and people who looked sick, old, were taken away, children, and ended up in the crematorium and the gas rooms. And that was the biggest, and you could see the gas chamber from where we were, from the barracks. So you knew what awaited you. Katie Davis: Tell us about that. First you met some soldiers and then what happened? Thomas Buergenthal: I must say it is hard for me to sort of remember very clearly how it came about that they took me with them. But they did and they took me. They were members of the first Polish division, the so-called Kosciuszkodivision, which had come from Russia. These were people apparently who had been, at least the officers, members of the Polish army in 39, then shipped to Siberia, and when the Russians needed troops they were (little laughter) brought back and given the chance to fight in the Polish army under Russian control. I was, so this was the group, and I was, the soldiers who took me in, they were members of the scout company. So we were sort of the forefront of the division. They took me in. They gave me, they made me a small uniform. I had shoes, they even gave me a small revolver. Not a revolver, an automatic pistol. They had found a circus horse some place, a pony, and because much of the army was still horse-drawn, they had supplies. The Russian and Polish army was still brought in by horse-drawn carts. There was a lot of horses and I had my horse and I could keep up with the soldiers. All of this I thought was going to lead to my being reunited with my parents, and I never even thought of this wasn’t going to happen. This was all part of a process. And in the meantime I could eat, and I no longer had to be afraid, and I had fun. Thomas Buergenthal: The first real military situation I got into was, I always say I helped liberate Berlin. We came into Berlin while the battle for Berlin was still raging. And we were camped in a park. Near the rocket artillery that the Russians were shooting over at the Germans, and the Germans were shooting back. I slept in an armored car because there was still a lot of fighting going on and as we drove into Berlin you could see there were Russian soldiers, dead soldiers on one side, Germans on the other. And the battle was still raging for about two days. But then of course the Germans surrendered, and we actually took German prisoners when Berlin fell. Thomas Buergenthal: When I was reunited with my mother in Germany and seeing, we had a balcony in that town – this is my mother’s home town in Germany in Göttingen – and sitting on the balcony on a Sunday and seeing the German families taking a walk and my father hadn’t come back. And at that point, you know, the desire of sort of, when I first came back I would love to mount a machine gun on that balcony and shoot all of them. Thomas Buergenthal: No,I felt very much that I was Jewish, but it’s strange my family was not a religious family at all, I had no religious education at all. Religion and Judaism became part of survival for me, and I think that was part of how my father, my family brought me up. The Germans wanted to kill us because we were Jews, and we were going to win this battle with them as Jews and we were going to survive. And so the Judaism that was instilled in me was the Judaism that said we were going to win over the Germans and not going to let them kill us. And we were going to be proud of the fact that we can survive. I remember my father always saying we are going to be alive long after they are six feet under (little laughter). Thomas Buergenthal: We are in my office at the George Washington university law school. Which is in Washington D.C. very close to the World Bank and to the IMF and to the State Department. I’ve been here since, first 1989 then I left for 10 years to the International Court of Justice, and then we came back in 2010. The book I’m showing you now is called “The International Protection of Human Rights” and it’s co-authored by Professor Louis B. Sohn of the Harvard Law School. And Thomas Buergenthal, me, at the time when I was teaching at the State University of New York in Buffalo. And because it is dated 1973, I think, we have to verify it. Yes 1973. And it is so big. Let me see how many pages, close to fourteen-hundred pages. And the reason it is so thick was because there was no other book to teach international human rights and very little happening in the field. So we had to collect a lot of stuff to show that there was something there. Katie Davis: When do you remember becoming aware of law? Thomas Buergenthal: And I think you know since I lost him early… my mother survived, but my father didn’t. Thomas Buergenthal: But you know the most gratifyingthing is to, it’s often occurred to me when I worked and – for example whensitting on a case, investigating human rights violations in El Salvador or now at the UN. To think that somebody who survived Auschwitz is given the opportunity to be working in this field now…it’s wonderful, it’s a gift, it’s a blessing when you think about it, that I’ve been given this opportunity. For me it is, and every time I sit on something that sort of brings back the memory. It seems to me to say, you know, it’s almost as if there was something written that I, I’m supposed to be doing this. And the irony, the poetic justice of my doing thiscomes back so often. It came back particularly in El Salvador where so many things that I saw reminded me of the camps. From the massacres to the executions. But to think, you know, to think of the cold Polish winters and the tropics of El Salvador – yet the same cruelties…and for me to be able to be involved in this. It boggles the mind in many ways. 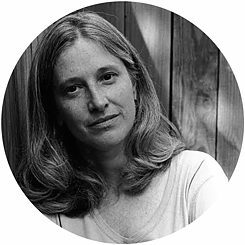 Katie Davis: I’m not sure most people would make that connection unless they had had your experience in the camps that there was a kind of similar, I guess brutality going on between treatment of people in the camps and what happened during the worst of the civil war in El Salvador. Thomas Buergenthal: Well you know it struck me long ago when I read Solzhenitsyn’s books about the Gulagthat the unimaginative cruelty it’s always the same. You know when you read what happened in the Gulag, you say “Gee, this is exactly what happened in the camp.” And then in El Salvador for example when the only survivor there described the massacre, when she began talking I could have finished the story for her. (little pause) It’s the same, I mean, there is no…evil has sort of a monotone to it. I don’t know that is the thing that always strikes me that I just can’t get over. 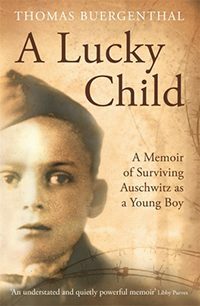 Katie Davis: Thomas Buergenthal is the author of “A Lucky Child” a memoir of surviving Auschwitz as a young boy. He is working on his second book now about his six decades of human rights work around the world. He also works with the committee on conscience at the United States Holocaust Memorial Museum. This is Katie Davis for the “Big Pond”.